In a mortar and pestle, pound dried shrimp into a coarse powder, remove from mortar and set aside. 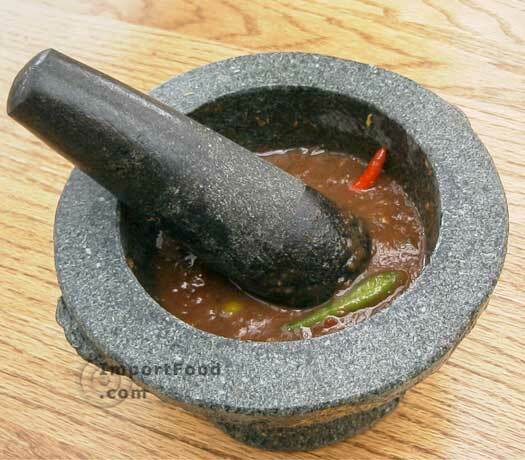 Place shrimp paste and garlic in mortar, mash and grind together then add the dried shrimp back into the mortar. Add Thai chile peppers and eggplant (leaving a few eggplant aside for later). Pound the mixture together, adding palm sugar, lime juice and fish sauce to suit your taste. Spoon it into a dish and add a few eggplants for visual appeal, it should look like this. This can be served in a wide variety of ways. Spoon over fresh steamed jasmine rice, or use as a dipping sauce for fresh or boiled vegetables such as cucumber, string bean, cabbage or bamboo shoot. 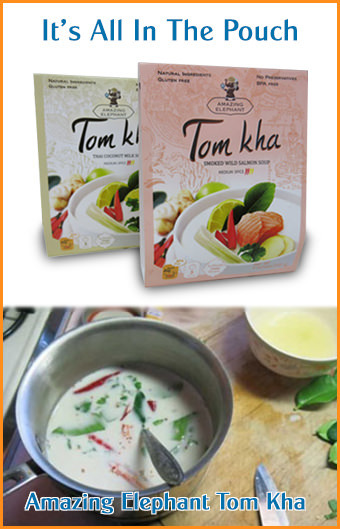 It's also a wonderful accompaniment to Lao style vegetable curry. 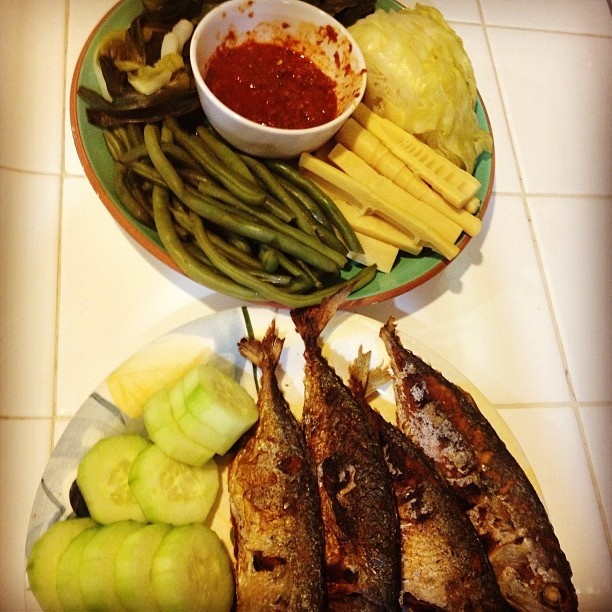 In Thailand this is very popular to eat with fried mackerel fish (pla tu).